Which baby monitor brand to buy in 2019 - Which? Unique Which? customer satisfaction data helps you choose a baby monitor that won’t let you down. We survey owners of Angelcare, BT, Philips, Motorola baby monitors to find out the brands customers would recommend. Our tough tests compare and identify the best baby monitors for picture and sound quality, battery life and practical features. We also ask parents how happy they are with their baby monitor brand. This is so we can get a complete picture of how well a baby monitor works when new and how it fares over time, as some baby monitor batteries degrade quicker than others, or a fault can develop with signal range. As you can see, there’s a big difference between the best and worst baby monitors in our tests, and varying feedback from parents who own baby monitors from these brands. If your baby monitor becomes faulty, you should be able to claim for a repair or replacement. Our guide to your consumer rights with baby monitors explains how. We asked 703 parents to tell us which brand of baby monitor they owned, and how satisfied they are with that brand. We also asked them whether they would recommend their chosen brand to a friend. From these responses we've compiled an overall customer score and a star rating. Choose a baby monitor brand from the list below to find out more detail about its performance in our survey. Table notes Average test score based on results of models tested in the past five years (as of 14 March 2019) that are still available. The customer score and rating are based on a Which? member survey of 703 parents conducted in March 2016. The customer score is based on whether members would recommend the brand to a friend. Table last updated 14 March 2019. 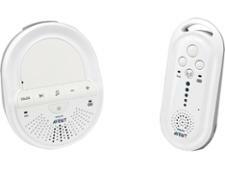 Angelcare is a popular brand that sells a large range of audio and video baby monitors. Their baby monitors are dear, but they often come with a motion sensor mat which is marketed as a tool to protect against sudden infant death syndrome (SIDS), also known as cot death. See how parents rate Angelcare baby monitors – we asked those in our survey how satisfied they were with their baby monitor and, crucially, whether they would recommend them to a friend. See all our Angelcare baby monitor reviews. BT baby monitors are recognisable from their distinctive styling, and BT has been a stalwart of the baby monitor market in the UK. 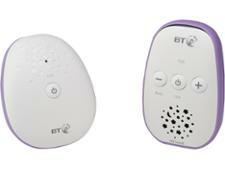 BT baby monitors are among the cheapest, ranging in price from about £32 for an audio baby monitor to £150 for a video baby monitor with lightshow features. The brand has just waded into the world of smart baby monitors, releasing its first wi-fi monitor in 2019. See how parents rate BT baby monitors – we asked those in our survey how satisfied they were with their baby monitor and, crucially, whether they would recommend them to a friend. See all our BT baby monitor reviews. Global communications company Motorola has a very large range of baby monitors and we’ve tested more Motorola monitors than any other brand. Its monitors tend to be innovative and cutting edge, with Motorola among the first to make a foray into smart home tech. It has a large variety of baby monitors with a wide price range - you can pay from £20 for one of their latest audio monitors to £250 for its most premium wi-fi connected video monitor the Halo. See how parents rate Motorola baby monitors – we asked those in our survey how satisfied they were with their baby monitor and, crucially, whether they would recommend them to a friend. See all our Motorola baby monitor reviews. Philips manufactures a wide range of baby products, including breast pumps, baby bottles, digital thermometers and, of course, baby monitors. The brand claims to have a monitor to suit every parent and you can pick up the three main types of monitor from them: digital video monitors, smart wi-fi video monitors and audio DECT baby monitors. See how parents rate Philips baby monitors – we asked those in our survey how satisfied they were with their baby monitor and, crucially, whether they would recommend them to a friend. See all our Philips baby monitor reviews. Need help choosing? See all of our baby monitor reviews. When you're choosing a baby monitor, you want a brand and a model you can trust, but there are also a number of other key things to consider. For example, do you want an audio baby monitor or a video baby monitor? You can find out more about the pros and cons of each in our audio baby monitor buying guide and video baby monitor buying guide. With stories of baby monitors being hacked appearing in the news, you also want to make sure you're being savvy when it comes to baby monitor safety and security. Read our guide to keeping your baby monitor safe from hacking if you've got or are interested in using a wi-fi video baby monitor.